Cats have a reputation for being selfish – but that's not the case for Polish puss Radamenes. 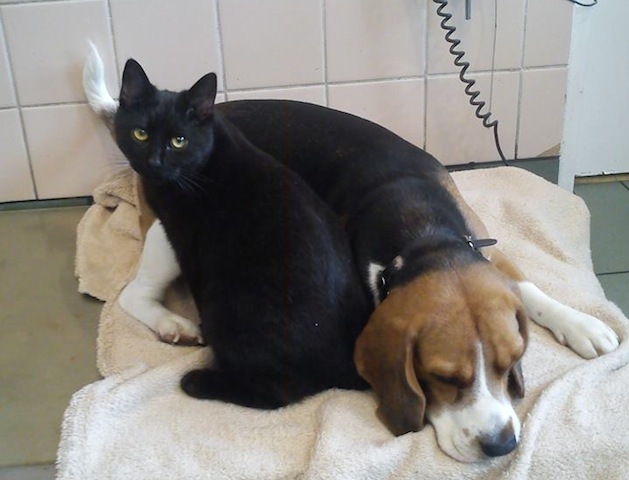 After an animal shelter saved his life, he's lending a helping paw by comforting other poorly pets as they recover. Other cats, give up now. We've had a vote and Radamenes is the best! 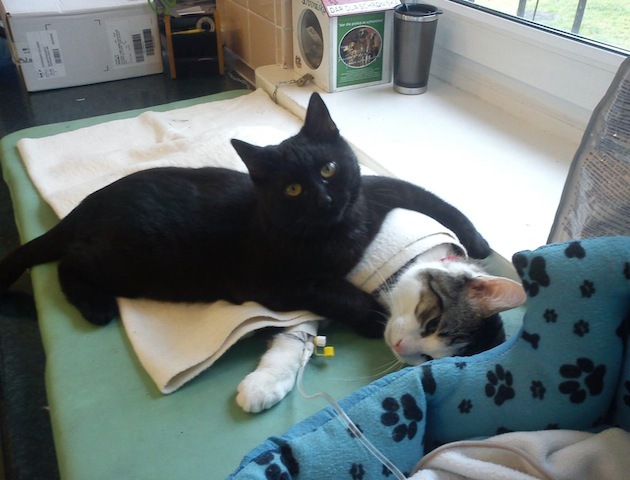 Meet adorable Radamenes, a nurse who purrs! The caring cat came to the Schronisko dla Zwierzat animal sanctuary in Bydgoszcz, Poland, last year. 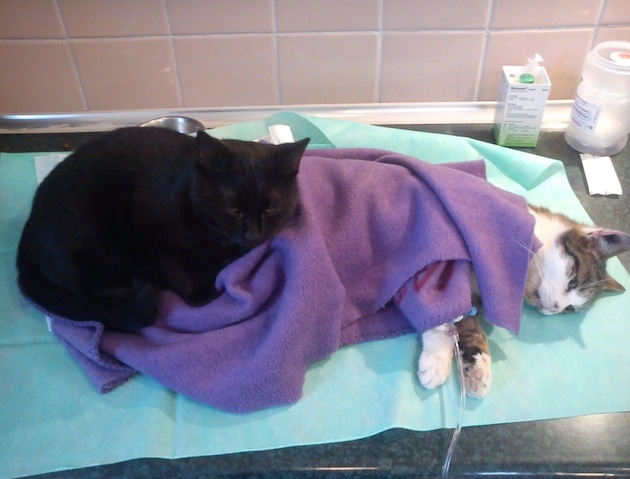 A stray, he was in a terrible condition, suffering with a severe respiratory illness, and wasn’t expected to make it. However, then staff at the centre heard him purr and it was decided to save him at the last minute. And it seemed this miracle moggy wanted to lend a helping paw by helping out at the shelter. He started going up to other sick animals, hugging and cleaning them, as well as sleeping next to them until they got better. 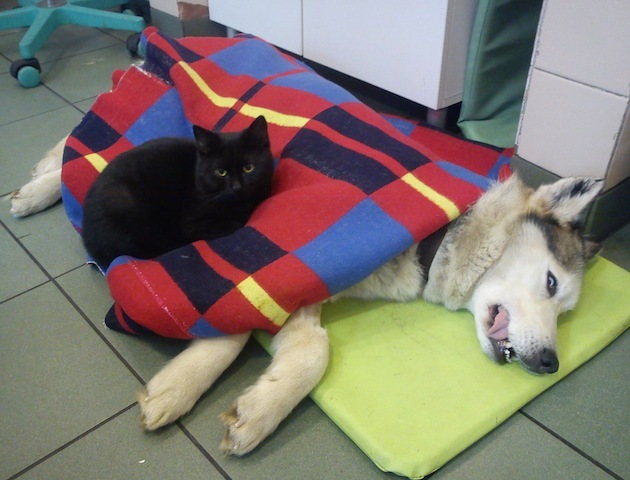 It doesn’t matter if they’re a puss or a pup, nurse cat Radamenes will stay by their side until they show signs of improvement. It’s little wonder he’s become a local attraction, with people from Bydgoszcz visiting the shelter hoping to get a glimpse of Radamenes for good luck. The staff at Schronisko dla Zwierzat aren’t completely sure why Radamenes has decided to become a full-time nurse, but they’re not complaining.  ‘It’s as if having been so close to death’s door himself, he now wants to help others get better,’ Lucyna says. 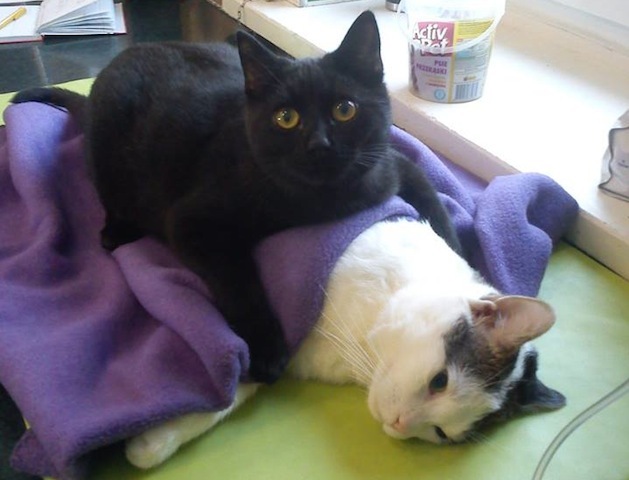 But one thing’s for certain – nursing seems like the purrfect career for such a caring cat!